Maybe Dana will stand up for the press? Oh, wait. That would take conviction. In case you missed this, earlier today Sean Spicer, Donald Trump’s press secretary, banned a bunch of outlets from attending a media briefing. The journalists he excluded represented the New York Times, BuzzFeed News, CNN, the Los Angeles Times and Politico. Meanwhile, reporters from Breitbart News, the One America News Network and the Washington Times (all conservative), as well as people from ABC, CBS, The Wall Street Journal, Bloomberg, and Fox News, were invited to attend. Oh, an important addendum: Reporters from Time magazine and the Associated Press were also allowed in, but refused in protest. I’ve been around this game for more than two decades, and it’s time for my media peers to step up. Because, truly, here’s the thing: People who work at, say, Fox News oftentimes also worked at CNN. Or jumped from MSNBC to ABC to CNN to BBC to Fox. I mean, I know very few producers and veteran reporters who haven’t been employed by myriad outlets. It’s a tight community, where everyone knows everyone and relationships and a love of reporting transcends political banter. And, along those lines, we—as a people—must recognize the BS at hand. Donald Trump is a man who cries “fake news!” while having invented a fake publicist (John Barron) to deliver, eh, fake news. He also lies and lies and lies and lies, then points at the media when it doesn’t digest and spew his falsehoods. And it’s time to fight back. 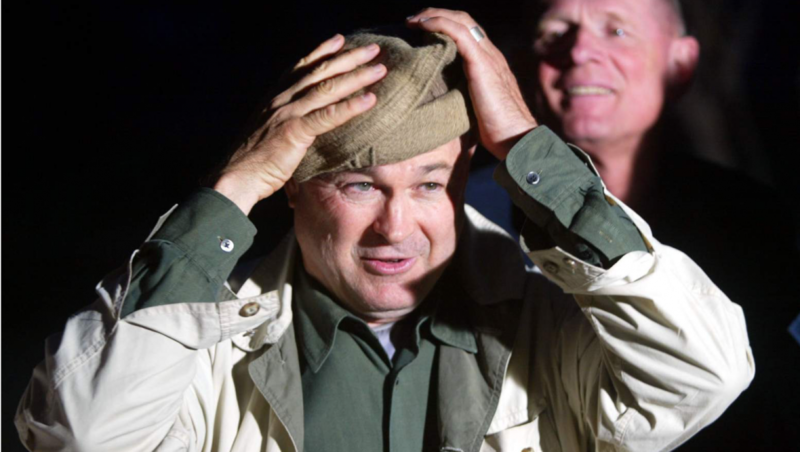 Oh, and one more thing: Where does Dana Rohrabacher stand on all this? Where’s his voice? Where’s his conviction? Is he OK with banning certain media outlets? Is he for the First Amendment protections of the press? Is he horrified? Irked? Bothered?